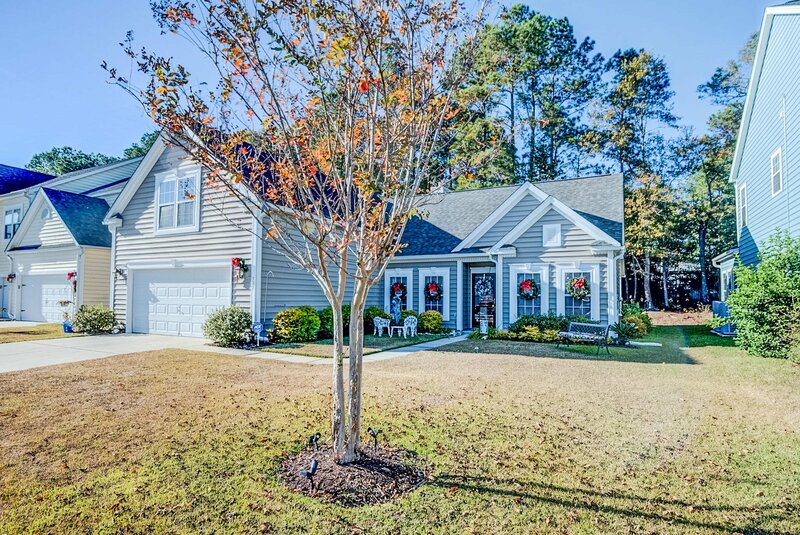 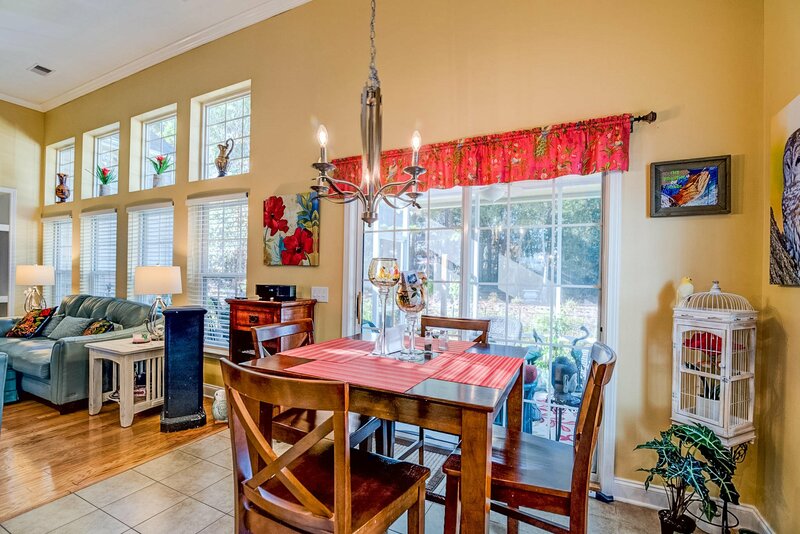 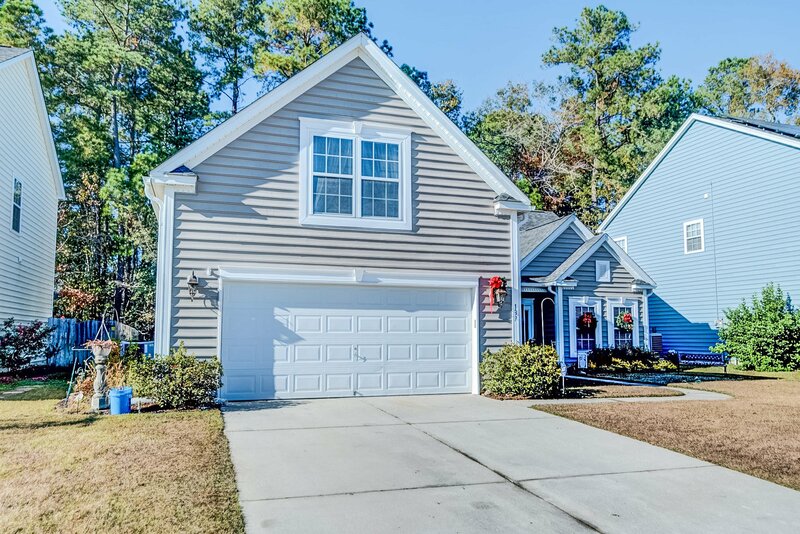 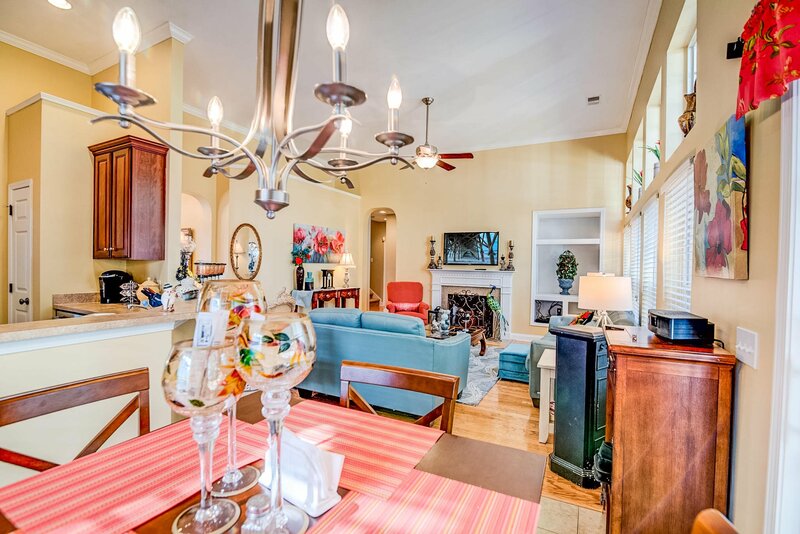 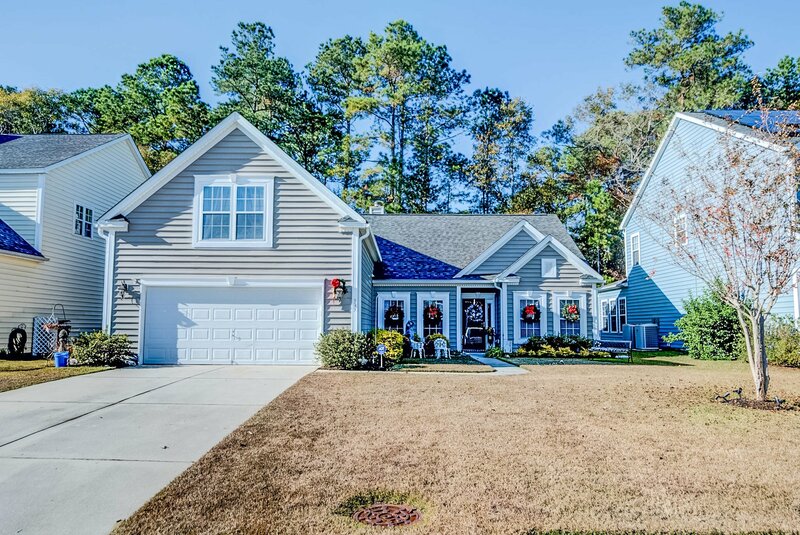 Single story living in one of Summerville's premier golf communities, Legend Oaks Plantation! 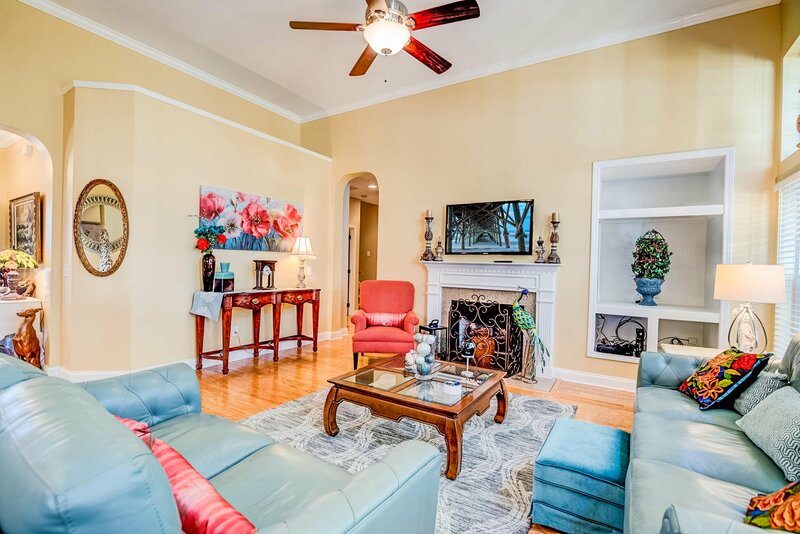 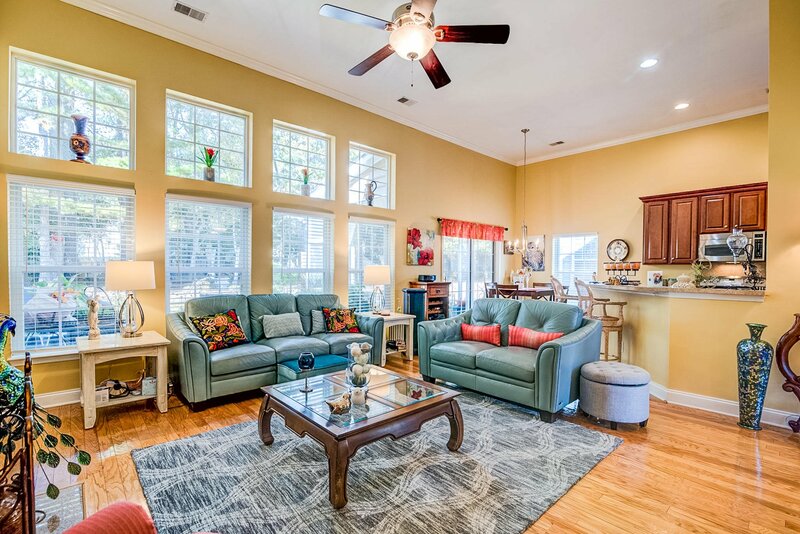 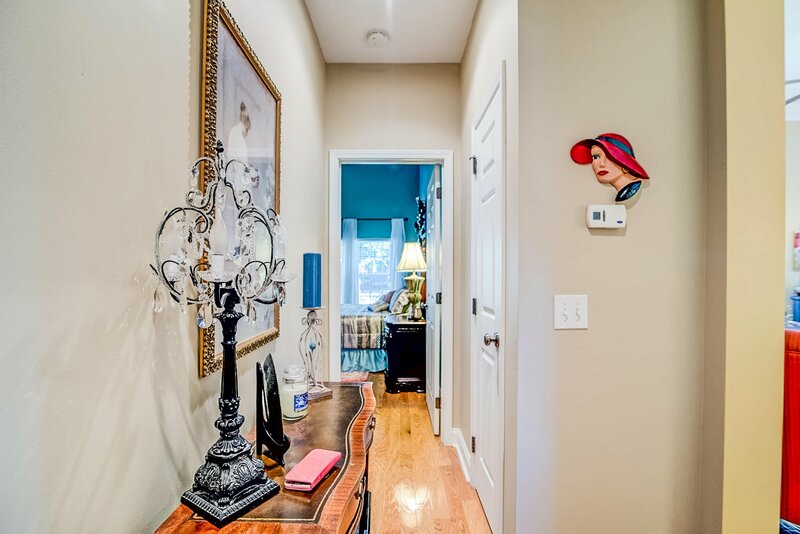 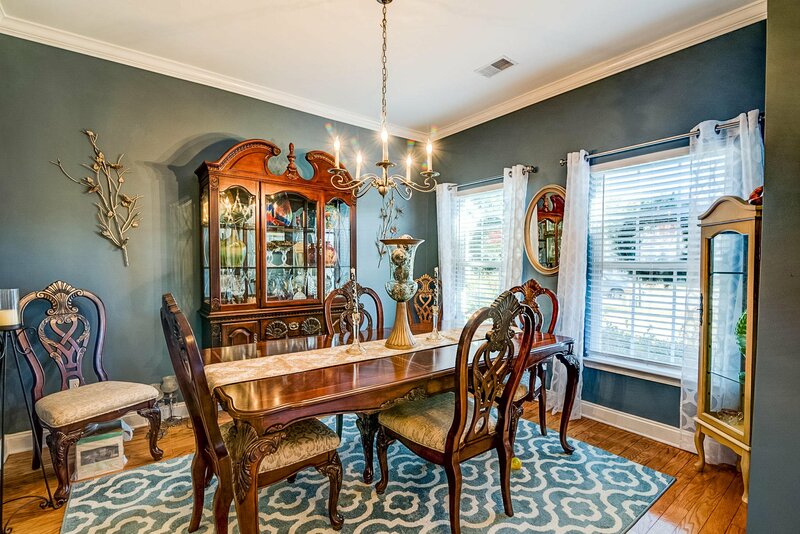 When you enter the home you are greeted with 9+ ceilings, spacious living area that is very open, beautiful oak hardwood floors that expand from the entry into the great room, formal dining, and master bedroom! 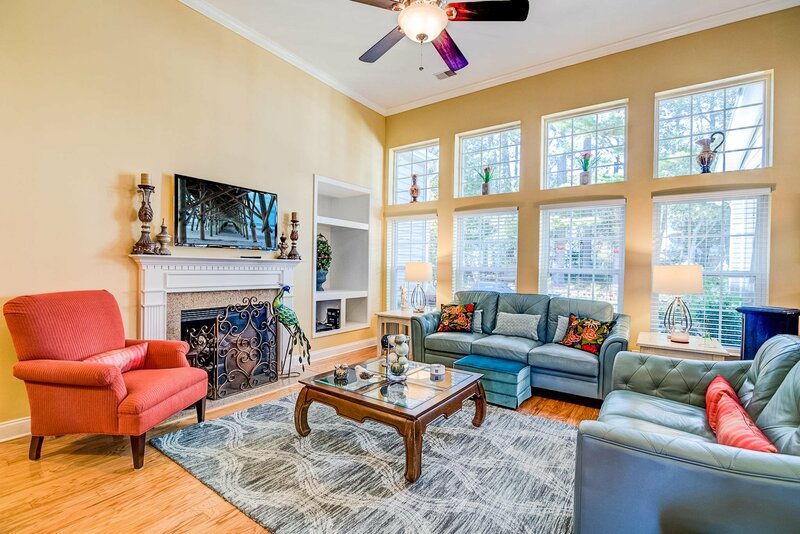 The formal living area has a wall of windows that allow natural light to pour in, a gas burning fireplace with a beautiful mantle and marble hearth that opens to the formal dining room! 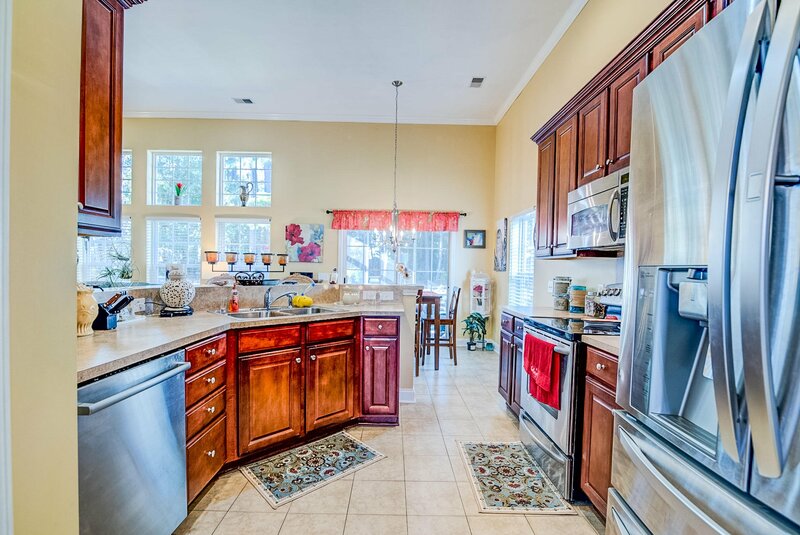 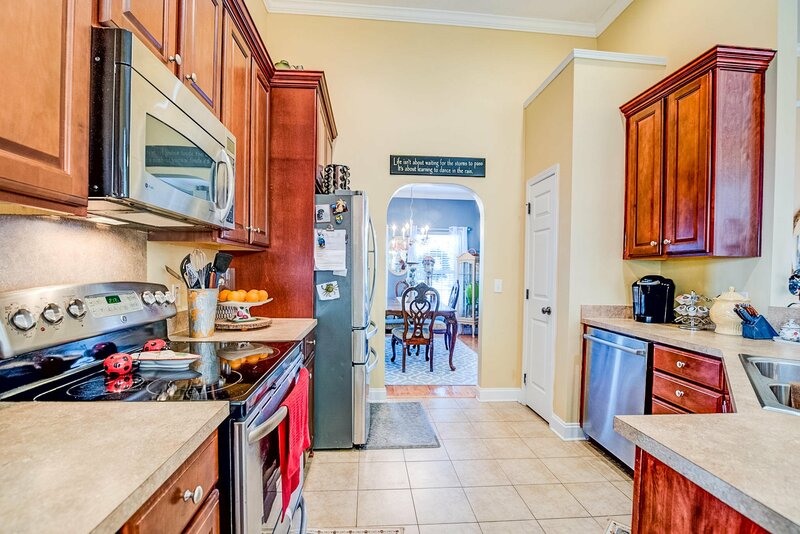 The open eat-in kitchen is equipped with tiled flooring and has plenty of counter and cabinetry space with canned lighting, pantry, sink overlooking living area with bar seating as well as stainless steel appliances including dishwasher, built in microwave and a flat glassed oven cooktop for the chef in you! 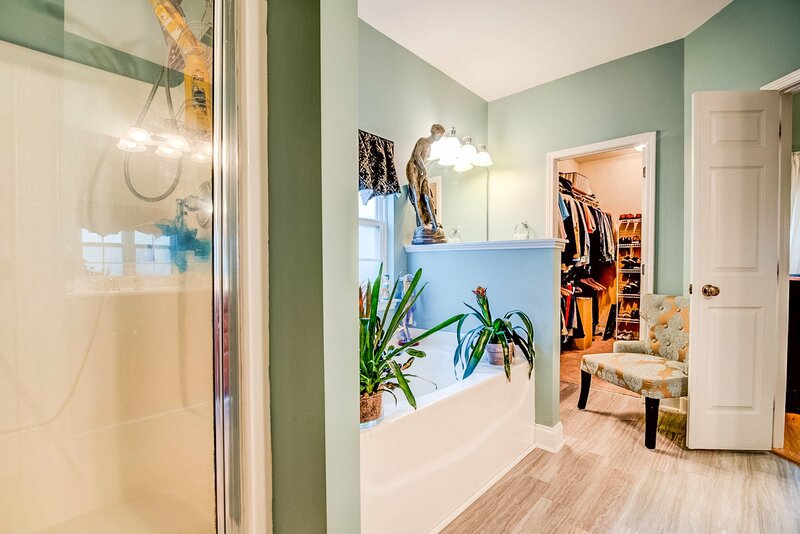 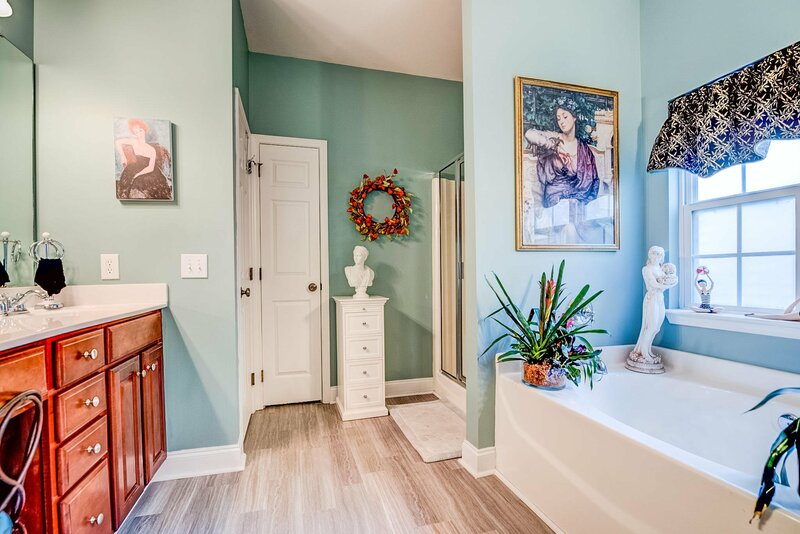 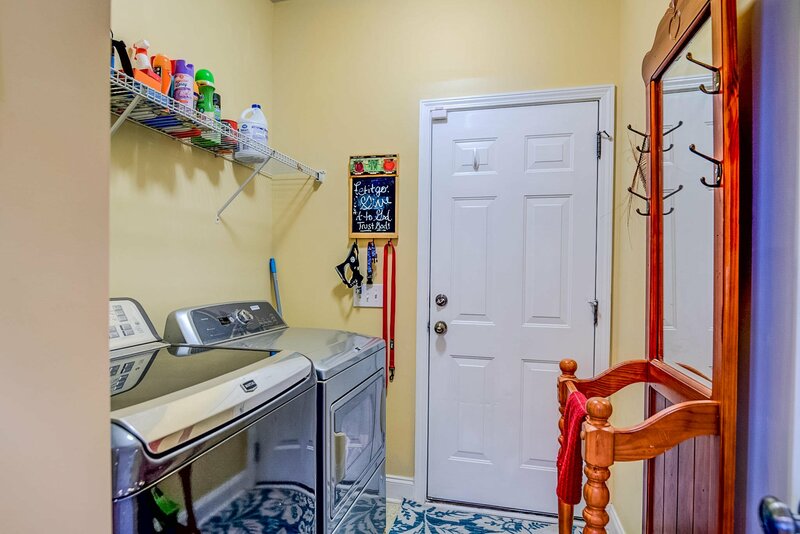 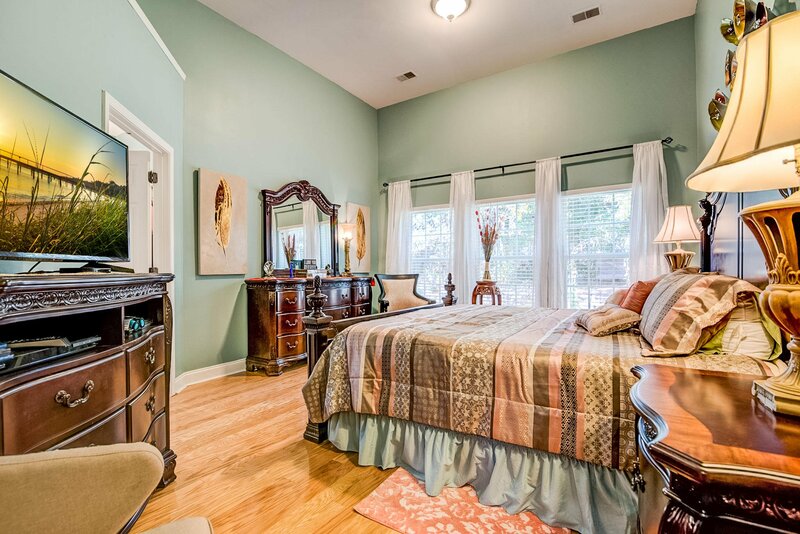 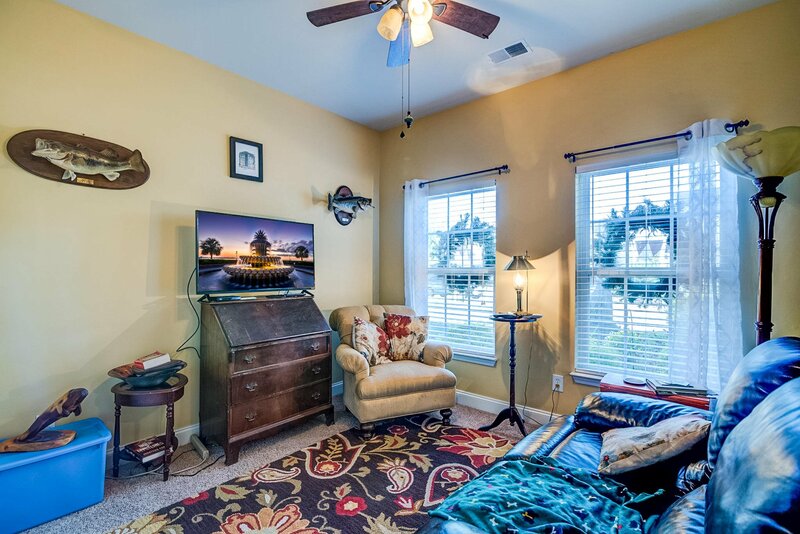 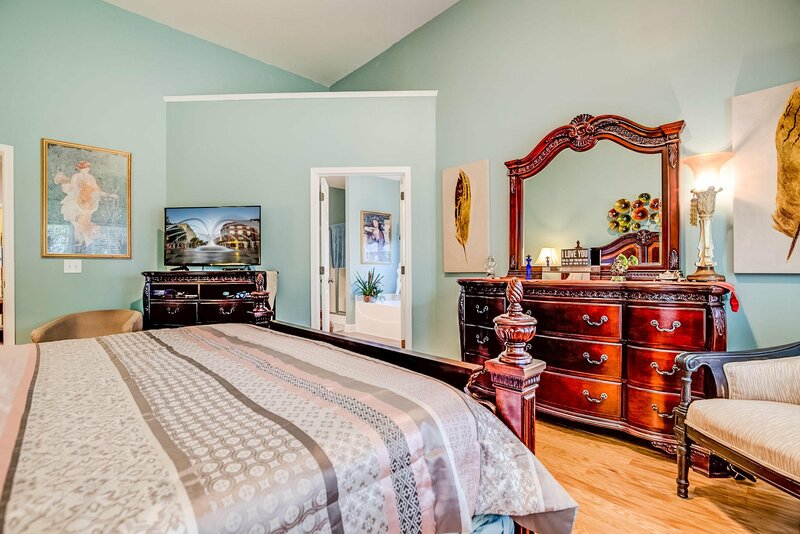 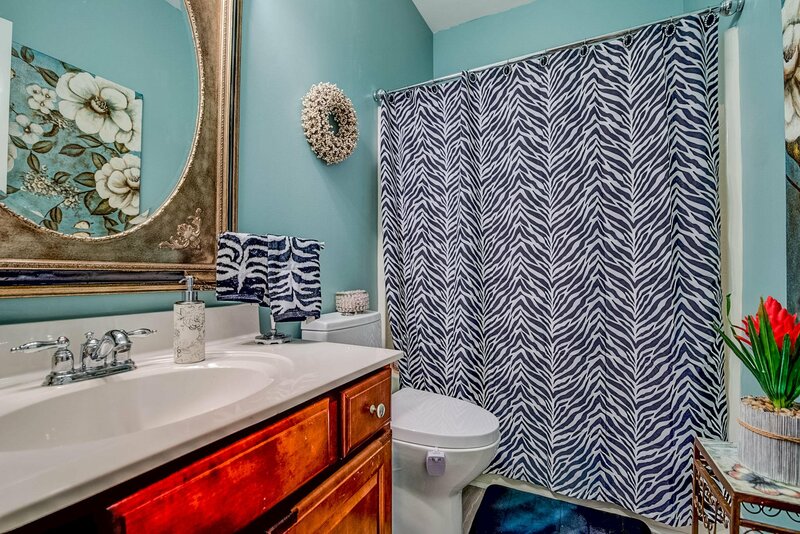 The Master bedroom is conveniently split from the opposing 3 bedrooms, large walk in closet and a spacious master on suite with a separate garden tub, glassed in shower and extended vanity with seating area! 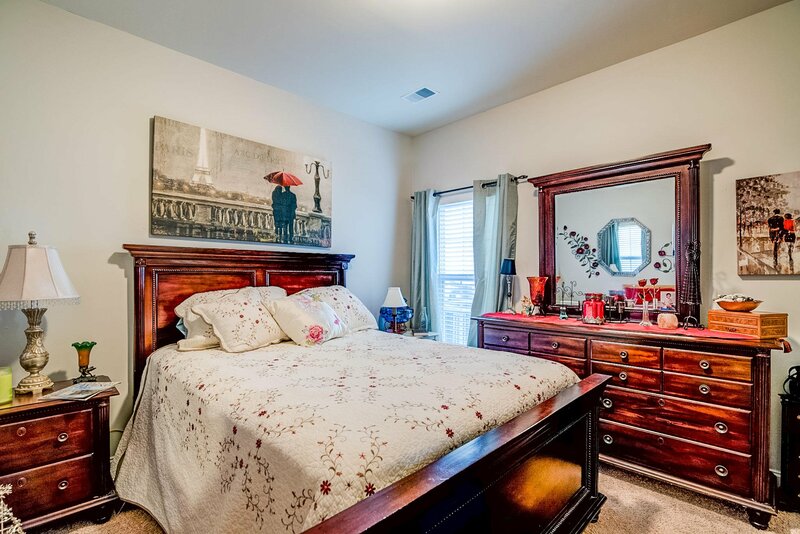 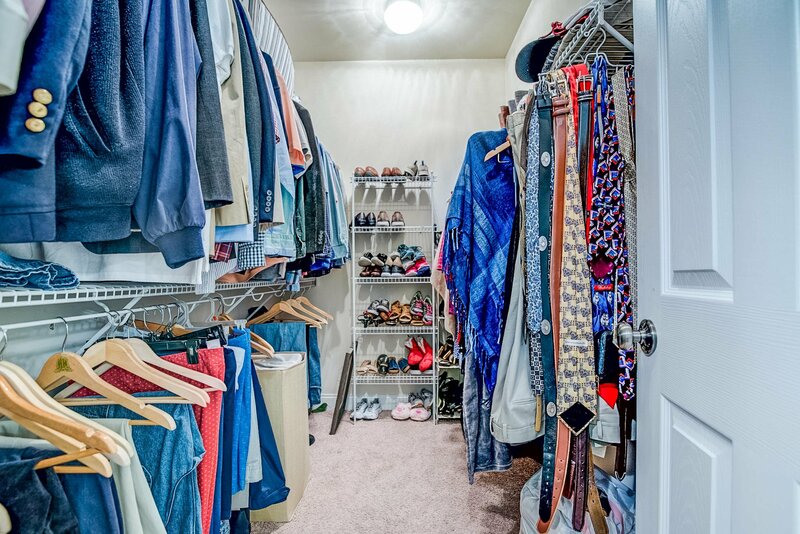 The opposite bedrooms are both spacious with generous closet space, ceiling fans and bedroom! 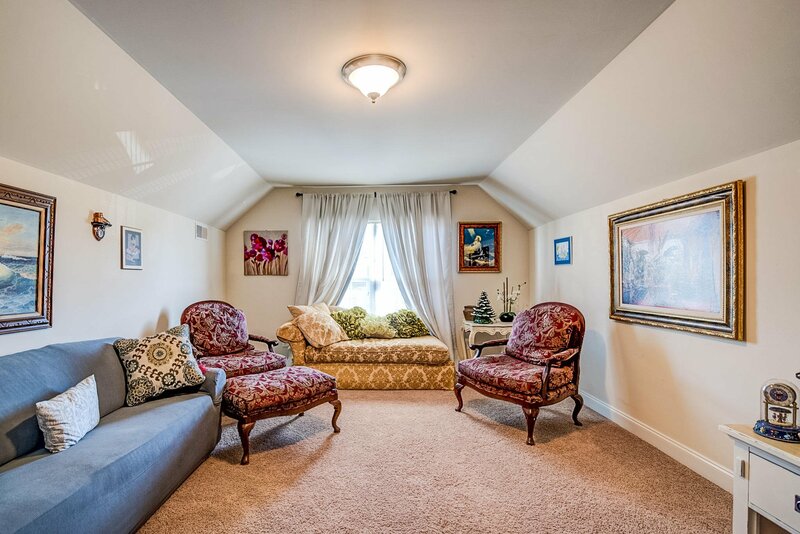 Bedroom 4 is above the garage with custom built-in shelving!. 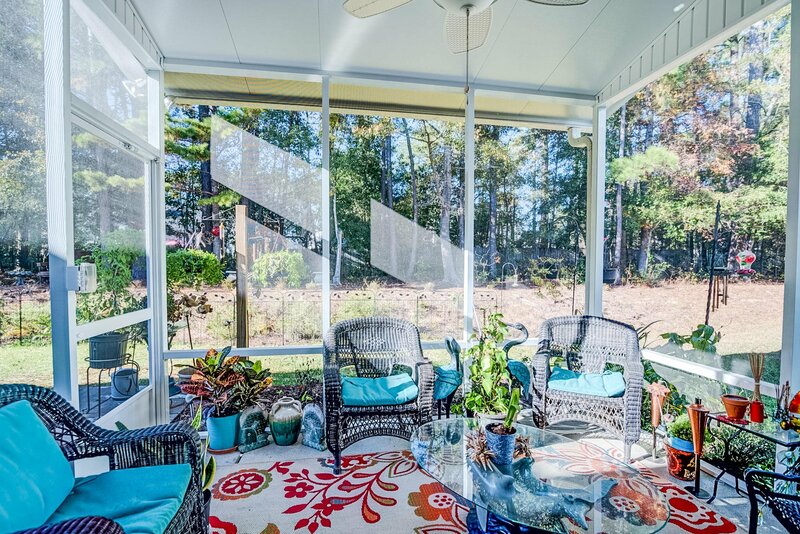 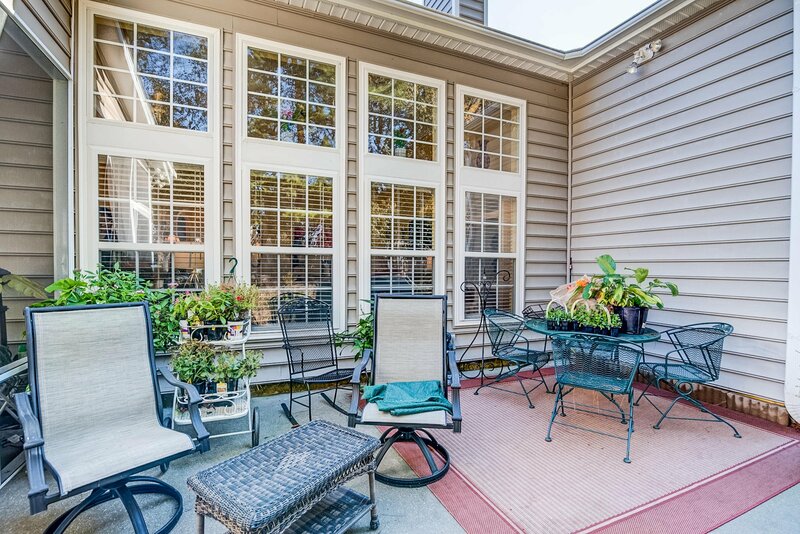 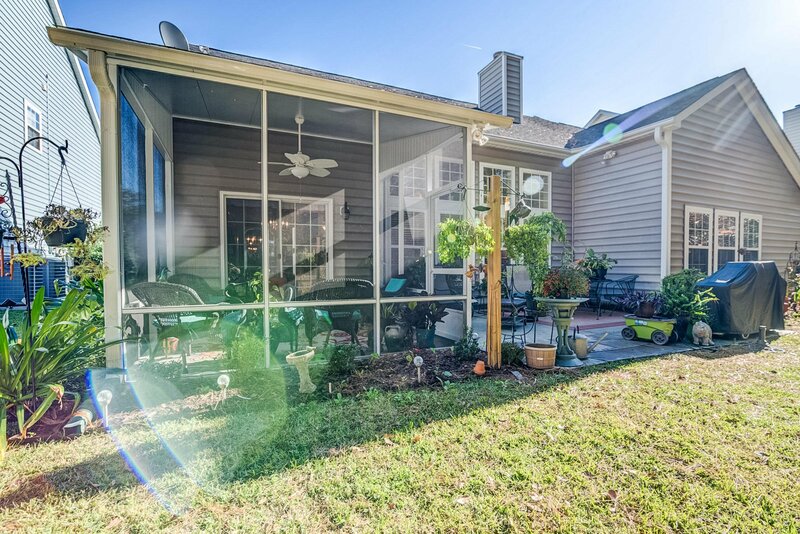 Off of the eat-in kitchen is the screened-in porch that gives you year-round enjoyment of the most private fenced in rear yard! 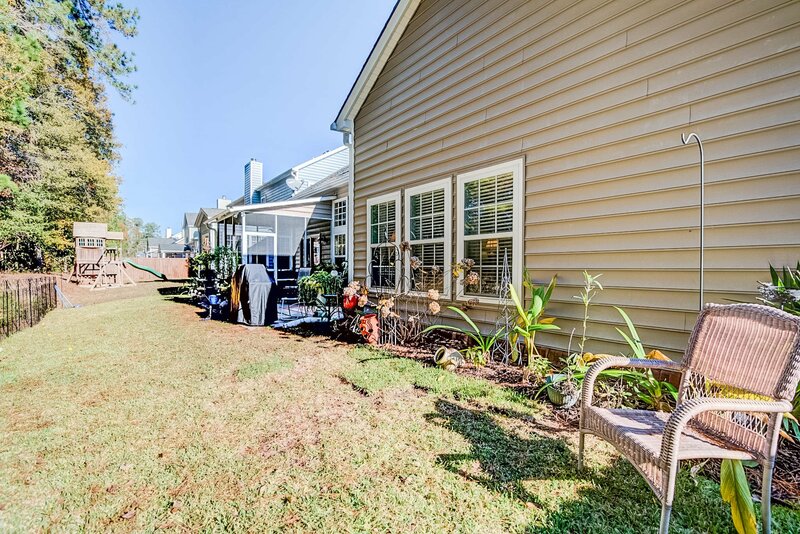 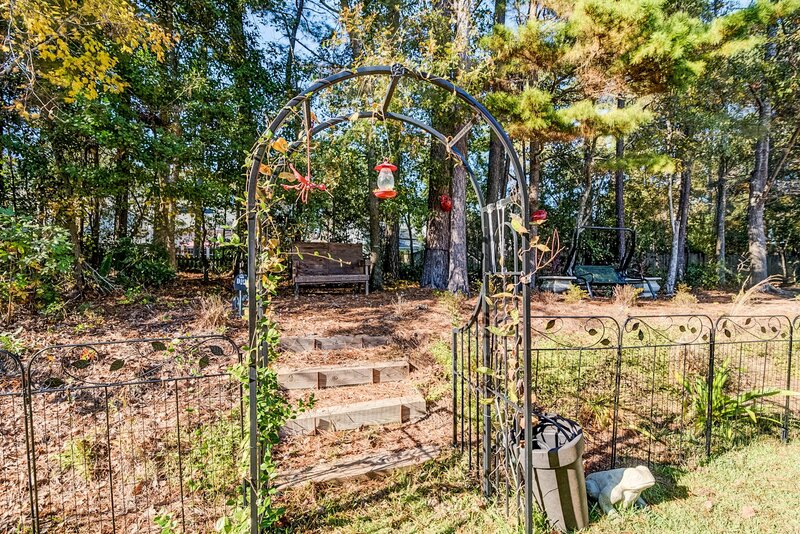 The rear yard boasts a beautifully wooded buffer that is to be awed!